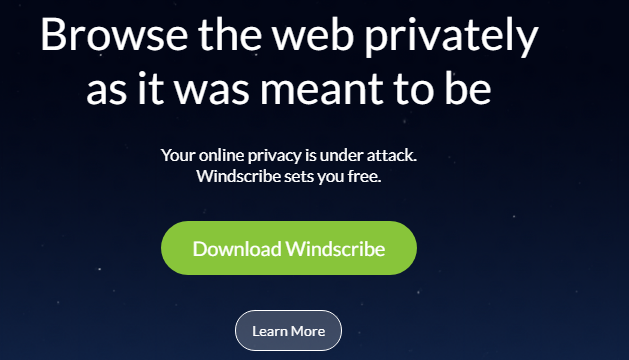 Windscribe VPN Review 2019 – Is It Secure? VPN becomes more and more popular as people gradually realize the importance of privacy protection. It is not an easy job to pick the suitable VPN. Therefore, our experts tested all the popular VPN and listed the best VPNs. Is Windscribe VPN reliable? It is fast? Is Windscribe VPN able to bypass Internet censorship and defeat geo-restriction? Get your answer in this Windscribe VPN review. 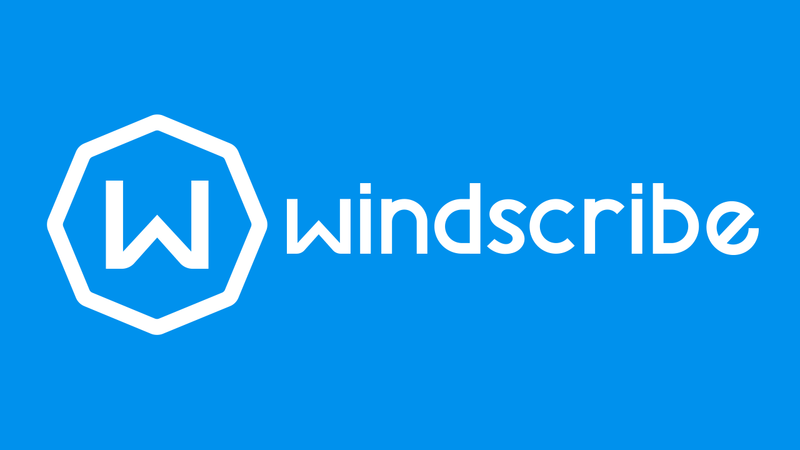 Windscribe is a famous VPN provider located in Toronto, Canada. It offers satisfied protocols, encryption, and logging policy to deliver effective security solution and great privacy protection. With this VPN, your Internet connections will be protected from prying eyes. It provides anonymity, hides your IP address, prevents others from tracking you and safeguards you against cyberattack by using the advanced technology. Windscribe VPN also is a useful tool to bypass government censorship and defeat geo-restriction, allowing users to access the Internet without boundary limits. Windscribe provides free version and premium plans. If you use the free version, servers are limited to only 11 countries. All users with free accounts use those servers. When many users connect to the same server, the connection will become slow. It takes a while to load a web page and you have to wait for some time to load a video game. The free version also is limited in data usage. If you want high speed, unlimited bandwidth and tight security, you will prefer the paid version. Based on your need, you can choose to sign up the monthly, yearly or biennial plan. Any plan includes the full features. If you only need VPN for a business trip, the monthly plan is flexible. If you need VPN for daily work or study, the yearly and biennial plans are the suitable options because you can get discount and save time in renewing the subscription every month. If you sign up monthly, it is $9.00 USD per month. If you sign up yearly, it is $4.08 USD per month. 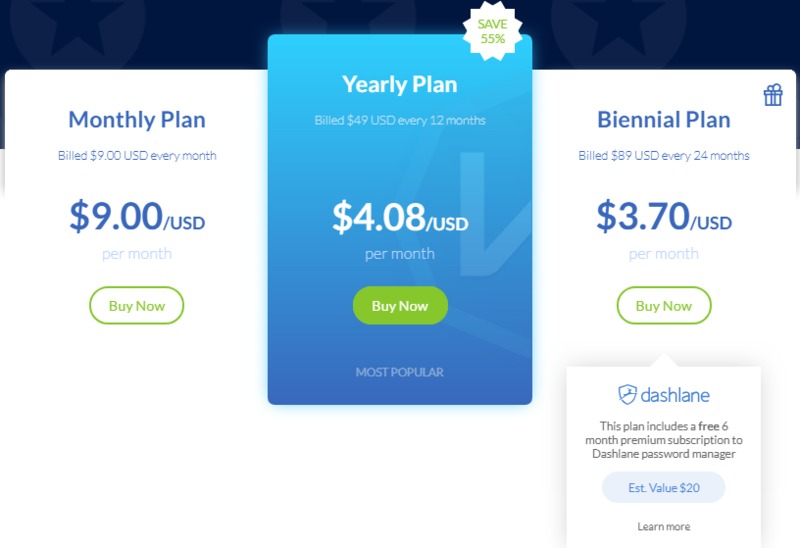 The yearly plan is 55% off. If you sign up every two year, it is $3.70 USD per month. You get 59% off on Windscribe VPN biennial plan. This provider offers cheaper price than similar products in the market. Windscribe VPN is of best value at friendly price. Windscribe VPN offers robust features and is trusted by a large number of users. It combines industry standard OpenVPN tunneling protocol with 256-bit AES encryption to give you unbreakable protection. You get solid protection even when you are connected to public WiFi hotspot. It has a large network consisting of servers in over 55 countries. The smart servers help you disguise your online activities to bypass Internet restrictions and access the network freely in any country and region. All VPN servers are encrypted, so your online session can’t be intercepted. Torrenting is allowed. This VPN helps safeguard torrenting sessions, building that encrypted tunnel around your Internet connection to keep you private and safe. The provider allows unlimited bandwidth and you can download and stream content freely. Windscribe VPN has excellent device compatibility and the app is very user-friendly. Keep reading to find out the amazing features of Windscribe VPN in detail. Windscribe VPN has a diverse network, offering servers in over 55 countries and 100 cities. All the servers are physically in the countries that they are advertised to be in. You actually can access servers in the countries like US, UK, Canada, Australia, Hong Kong, Japan, Italy, Russia, France, Mexico, Germany, Switzerland, the Netherlands, Ireland, Norway, Singapore, Spain, Denmark, Sweden, Romania, Egypt, Turkey, South Korea and India etc. Alongside the worldwide servers, this VPN provides anonymous IP address to mask your real one. The remote servers and anonymous IP addresses enable you to gain unrestricted and private access to social media platforms, streaming services, sport channels and blocked contents in 55 countries. You are suggested to connect to a server location closest to your real location to get the possible highest connection speed. Don’t want to figure out the right server yourself? Windscribe VPN offers Cruise Control. This browser extension will automatically select the best server so as to maximize your speeds. When you try to visit a blocked website, it switches to the required server in the background in order to assist you to unblock desired website. You don’t spend time in finding the right server and switching between different servers manually. If you are a Netflix fans, you should note that this service is restricted to the US only. If you are moving to another country, you need to prepare for it. VPN is Netflix fans’ hope, but not all VPNs help. It is well-known that Netflix has been cracking down on visitors who use VPNs to spoof their locations and access Netflix videos in other countries. They issue the blocking due to copyright issue. However, it is a piece of bad news for Netflix fans. Due to aggressive VPN blocks, many VPN gives up working with streaming services. Luckily, Windscribe VPN never gives up. The provider develops dedicated “Windflix” servers to make Netflix content accessible from anywhere. No matter you are moving to China or Japan, your favorite streaming service will go with you. Simply connect to the WINDFLIX location, and you will be able to unblock Netflix and watch the show like you do at home. You know what? Your ISP can monitor every move of you and the government can view message you send via the Internet. The hackers can grab your bank account & passwords when you make payment on insecure network. It is very necessary to secure your connections to the Internet. Windscribe VPN provides what you need. It utilizes AES-256 cipher encryption along with SHA 512 data authentication and strong RSA 4096 handshake to give you military-grade protection. Leading banks, universities and government agencies use the same encryption standard to protect their data base. The stronger the encryption is, the lesser the chance of it being broken.It can take much more time you can image to crack a 256-bit encryption key. You should feel safe with Windscribe VPN. This VPN also supports perfect forward secrecy. It generates a unique session key for every session you initiate. Even when one session key is compromised, it will not affect any data. Besides, this VPN allows double hop which lets you channel your Internet requests through two server locations on the Windscribe network. The request travels through one server on your device applications and reroutes through a different server on your browser extension. This is an extra layer of protection, but it slows down your connection a bit as it has to go through two server locations. Windscribe VPN lets you generate OpenVPN, IKEv2 and SOCKS configs for all your devices. OpenVPN is the most advanced protocol which supports high speed and strong encryption. If it is not available on your device, you can download the third party OpenVPN client from Google app store. You may fail to access popular websites as many networks have heavy restrictions on port. To get rid of the restriction, install Windscribe VPN. This VPN allows you to connect via the most common ports many of which cannot be blocked. It offers three connection modes and does not restrict you to a single protocol or port. The default mode is UDP and you are allowed to switch any mode you like. The more resilient mode is TCP while it is slower. Stealth via Stunnel is the great mode if you live in a country with strict Internet censorship. It enables you to set a port, configure a proxy and do more settings. Even if one port is blocked, you still have two other options to make it work. Windscribe VPN offers Secure Hotspot which is only available on Windows. This feature enables you to create a secure Wifi hotspot right on your PC. If you are the only one who has Windscribe protection in the house, you can share the secure and private connection with your family and friend. Invite them to connect to the hotspot you create, so they can enjoy the VPN protection without installing VPN client on their devices. When you are alone at home, you can connect your other Internet-enabled devices like smartphones, tablet, TVs and game consoles etc. even though those devices are not supported by the VPN provider’s applications. Here is the guide to use secure hotspot on your PC. Go into Windscribe Preferences and navigate to Share and enable “Secure Hotspot”. Create the network name and pick a strong password, and click OK to confirm. Connect the Wifi network on another device by entering the password that you chose above. All the activity on the 2nd device will be channeled through one of Windscribe’s servers. It can benefit all features VPN offers. You leave digital footprint on every website you visit. 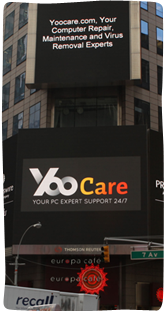 The footprint is your IP address which reveals your location and other information. ISPs, advertisers, snoopers and hackers can track you with IP address you leave on the Internet. You need to rely on your ISP to access the Internet, so it is not easy to hide your browsing activities from the ISP. There is still a way. Windscribe VPN provides new IP address to hide your real IP address. When you browse, others only see IP address offered by VPN provider. The VPN also encrypts the connection between you and VPN server. The ISP won’t be able to view your online traffic. There are more features offered for private browsing. Some websites can check if you are using a proxy or VPN by checking what timezone is configured in your browser. If the timezone on your browser is different from the one on your computer, the website knows that you are using a proxy or VPN. Therefore, Windscribe VPN provides Timezone Spoofing feature to fake the configured timezone on your computer to match the server location you connect to. That can help you escape from VPN block. If you visit a website with VPN on, and revisit the same website next time while forget to switch on VPN, your traffic can be linked and your privacy will be compromised. Windscribe VPN allows you configure the browser extension, so you can keep track of certain cookies and eliminate all 3rd party or 1st party cookies on tab close. As we know, each browser has “User Agent” to identify what operating system you use, and the exact browser version. That can uniquely fingerprint your browser which is not good for your privacy. Therefore, this VPN spoofs your user agent with several common profiles so as to reduce the chance of fingerprinting. Windscribe has Secure.link which is a separate service. It assists you to shorten URLs and disguises your activities to prevent tracking practices of websites. This VPN blocks any trackers that may compromise your privacy. It also blocks Facebook “Like” buttons, Twitter “Tweet” buttons, Google+ and LinkedIn widgets all of which collect your browsing history. All those features are designed to deliver you anonymous browsing. Your privacy always stays with you. Due to several reasons, some countries issue strict Internet censorship and block many famous websites. For example, China creates the most complicated firewall to censor Internet activities in their country. The government blocks content based on users’ location. Google, YouTube, Facebook and other famous applications and websites are blocked by the Great Firewall of China. Windscribe VPN provides Proxy Gateway and spoofs your locations. The global servers will help you convince the ISP and government that you are located beyond their Jurisdiction. They won’t censors Internet connections of users in other countries. The Proxy Gateway will help you create a secure HTTP or SOCKS5 proxy server on your own PC. The server will only be available on your LAN. You can connect other devices like smart TVs and game consoles to the server you created to take advantage of your secure connection without installing VPN software on them. You can bypass government censorship and unblock social media, streaming services and gaming websites on all your Internet-supported devices. Windscribe provides free and minimalist clients for all platforms. The instant setup makes getting started a breeze. Simply download VPN client based on your system. It will invite you to select your preferred language and accept the service’s license. Next, you will be required to set up an account and type in your username and password. It’s your choice to provide email or not. This VPN works with all basic systems, including Windows, Macs, iOS, and Linux. You can always be protected no matter you are using a smartphone, tablet, laptop or desktop. Windscribe also has browser extensions for Google Chrome, Firefox, and Opera. You can browse anonymously and unblock any restricted website with your favorite browser. In addition, the provider develops smart TV apps for Amazon, Nvidia Shield, and Kodi. That allows you to watch your favorite shows and stream the hottest videos on your TV. Windscribe VPN allows an unlimited number of secure connections at a time, so it is a great package for family or group use.